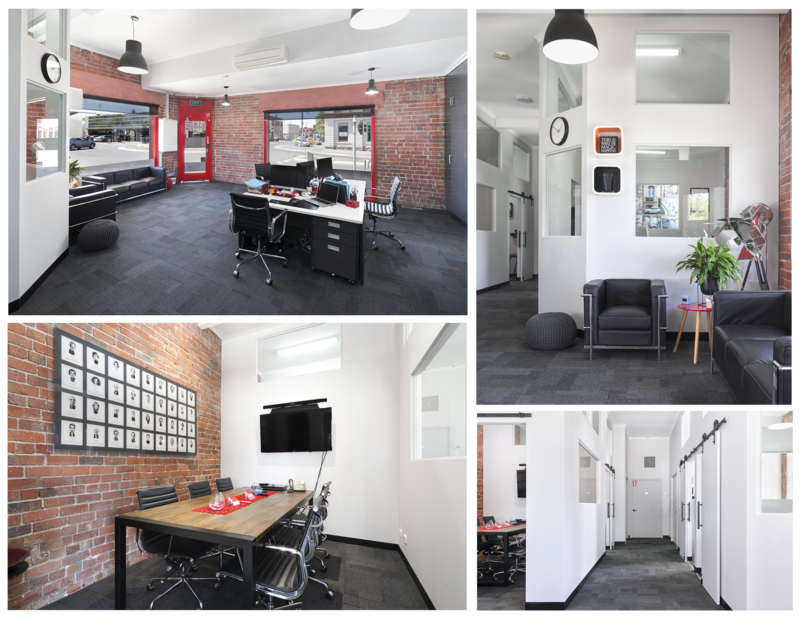 We opened the doors at our brand new studio in Armstrong Street Sth on October 9, and 4 months later – how is it all going? Well we have received great feedback about the space from our clients, and the staff are enjoying the new office and convenience of the location. The inside has been completely redesigned to be a modern and functional office space. 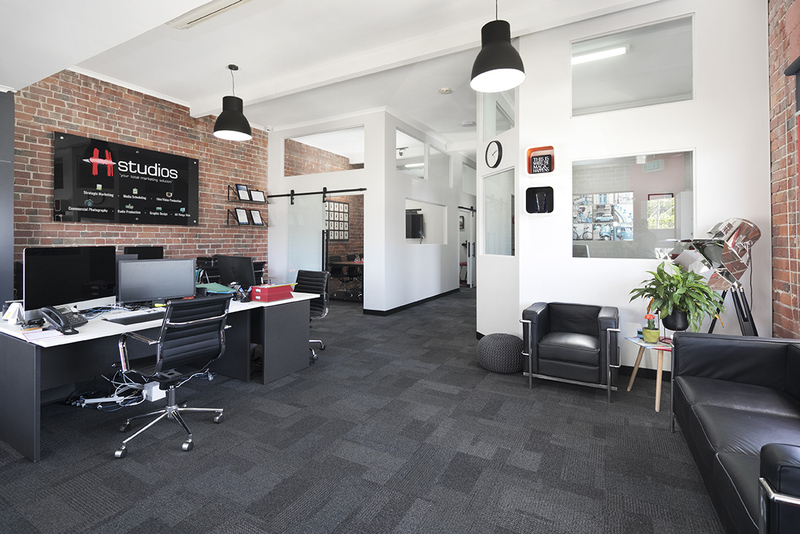 We have an open plan workspace just inside the front door, offices for Heath and Pina, trendy boardroom with brick feature wall, edit suite, and the photography/video studio at the rear of the building. One of our goals for the change in location was to become more well known within Ballarat – and progress so far has been very promising; our visibility is great being right on a busy corner in the CBD, passing foot traffic has majorly increased compared to where we were before and we have regular walk-ins with enquiries which is great! Funnily enough a large amount of people have come in looking for the printer wizards, only to realise that everything has changed. This is slowly decreasing as we direct these lost customers to the Printer Wizards new location (They’re in Howitt Street now 😉). So, if you do need any of our services or happen to be going past our Studio, please feel free to pop in and see us! Take it easy Ballarat and enjoy the last few days of Summer!